There's nary a media type that some edition of Stellar Phoenix Windows Data Recovery 6 won't handle: hard drives, memory cards, optical discs...all covered. One of Stellar Phoenix's best features is its colorful, mostly easy-to-use interface. The program comes in three flavors: the $49 Home, which recovers from all the above media except optical; the $99 Professional, which does optical as well and adds support for creating images and recovering from Outlook .pst files; and the $299 Technician edition, which also handles RAID 0, 5, and 6 volumes and remote network recovery. While Stellar Phoenix WDR 6's interface is colorful, and largely easy to use, I would like to see larger lists for the drives. I have quite a few partitions on my system when I'm testing, and being able to see only six at a time (and only one when searching for lost volumes) is confusing and forces a lot of unnecessary scrolling. Stellar Phoenix WDR 6 did well with the two hard drives I tested it with, as well as an SDHC card with photos. It recovered the .mov portions of movies on the card as well, but not the forked headers that Canon uses. It didn't show these headers either, which need to be recovered and pasted into the movie files for them to work properly. Also, Stellar only came up with one recoverable file on my test flash drive, where R-Studio came up with hundreds. The interface doesn't allow enough room for the user to see all the drives in a system with a lot of partitions. 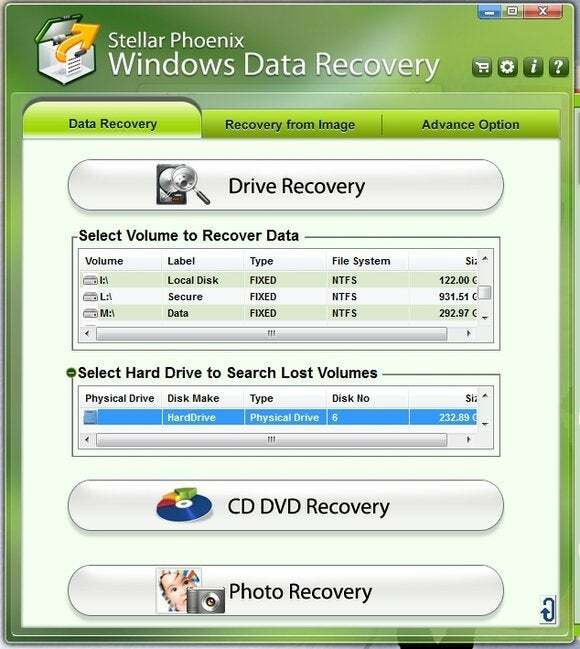 By and large, Stellar Phoenix Windows Data Recovery 6 works quite well, and as with all recovery programs, you can download the demo and see if it works for your particular recovery problem (you can see, but not recover, data). Alas, the advanced features will cost you, and it was less than stellar at recovering data from my test flash drive. R-Studio Data Recovery ($80), which has been my workhorse for years, and IsoBuster ($40) are worthy competitors. Note: The Download button takes you to the vendor's site, where you can compare the three editions of the software and download the latest version of your choosing. 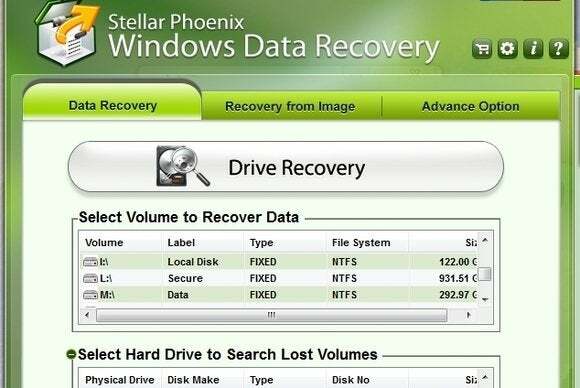 Stellar Phoenix Windows Data Recovery supports lots of media types, but results with a portable flash drive were disappointing.